Standard Fixed Output Voltages: 0.8V, 1.2V, 1.8V, 2.5V, 3.0V, 3.3V, 5.0V. Other fixed output voltages available upon request. 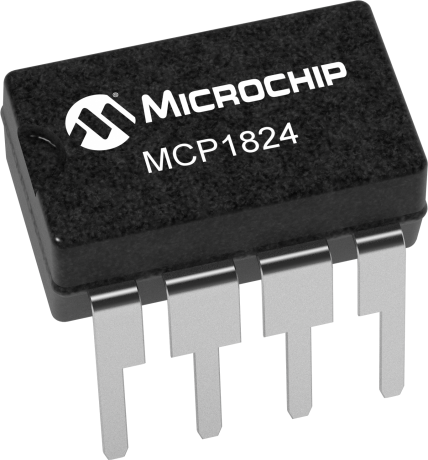 The MCP1824 is a 300 mA, ceramic output cap stable, low output voltage, Low Dropout Regulator (LDO) with shutdown and power good functions (fixed output version only). It is part of the family of LDOs that includes 500 mA MCP1825, 1A MCP1826 and 1.5A MCP1827. The MCP1824 comes in power capable SOT223-5 and space efficient SOT23-5 packages.